Today we've got Emma from For My Little Monster sharing her stash busting tutorial for our great November Destashing! 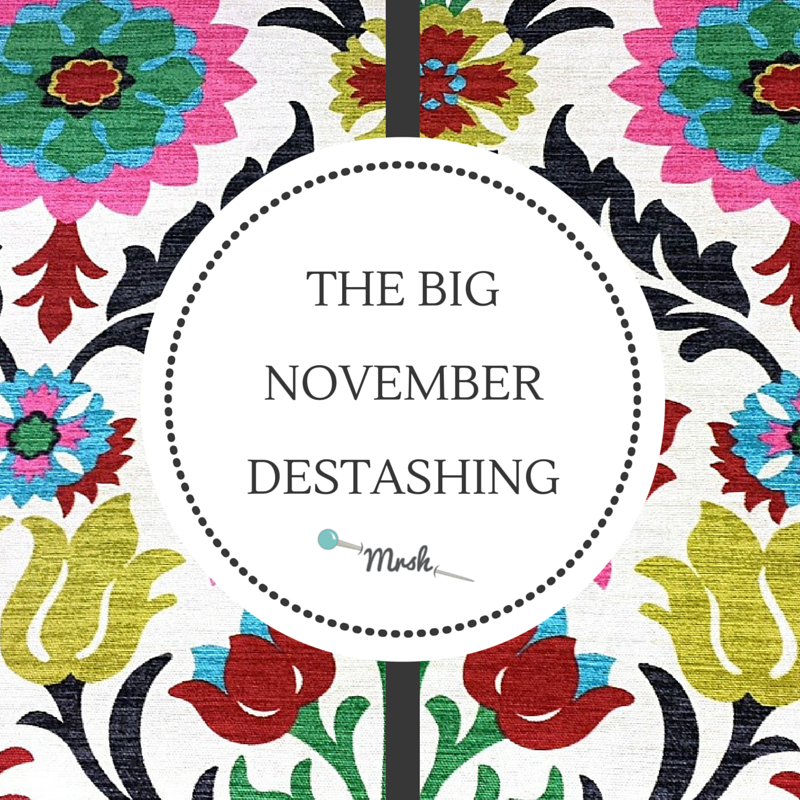 Can't wait to see your destashing, use #novemberdestashing on Instagram to be entered to win a pattern bundle from my store! Hello again all you Mrs H fans! 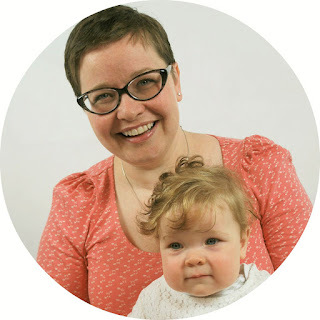 It's lovely to be here on Samantha's Blog for the 3rd time - if you're interested in reading the other posts I've written for the lovely Mrs H, here they are...1 and 2. 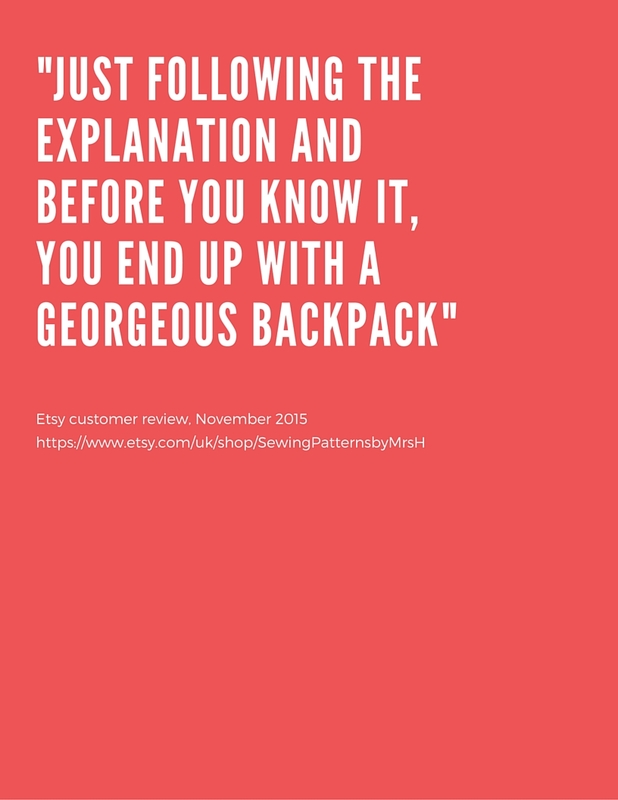 Today I'm going to show you how I like to bust my stash (and scraps) and do some English Paper Piecing, and to do this I am going to be using my newly released pattern, The Run & Play Bag, which can be purchased via my shop, etsy or on craftsy. 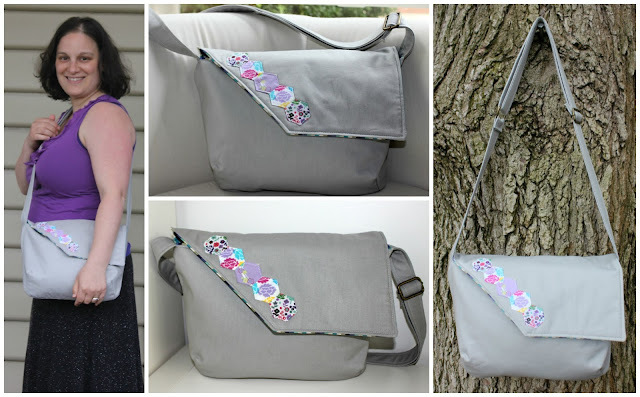 The Run & Play Bag is great for stash busting and using up those 1/2 yard cuts with coordinating fat 1/4's that I know we all have hidden away waiting for the perfect project - and this might be it! 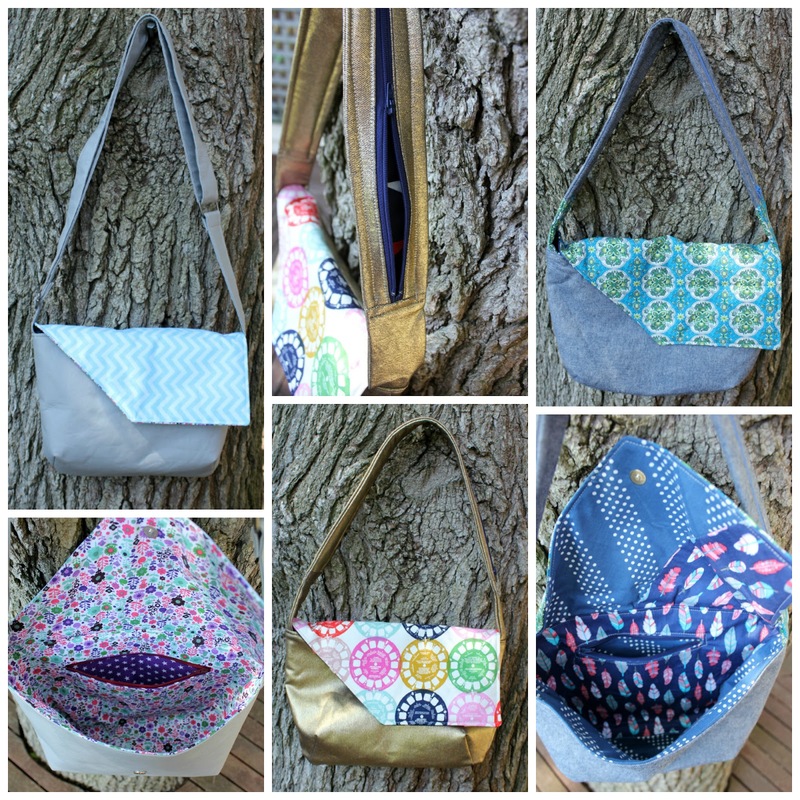 Even though I will be using the Run & Play Bag for the purpose of this tutorial, you should be able to take the skills you learn here and apply them to other bag patterns too! - The Run & Play Bag pattern - which can be purchased via shop, etsy or craftsy. 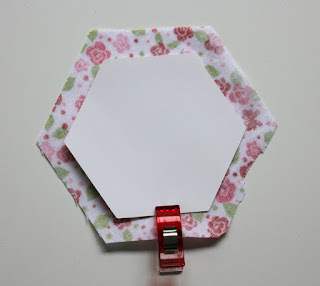 In case you have never seen a hexagon template before, here is a picture of mine. They are made of perspex. 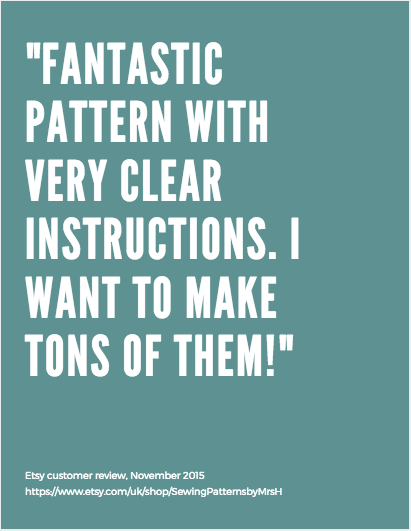 You will also notice that the template is bigger than the hexagon papers, it is supposed to be this way so that you have a 1/4" seam when applying your fabric to the papers later. 1. Use your Hexagon Template to cut your fabric scraps to size. To do this place the template on top of your fabric, then run your a rotary cutter carefully along the edge of the template to cut away the excess fabric. Make sure you cut 5 fabric hexagons. As I said earlier, you will find that the fabric you have cut is larger (by a 1/4" around all sides) than the papers, this is how it is supposed to be. 2. Place a fabric hexagon, wrong side up, in front of you. Then place the paper hexagon on top, and clip together with a wonder clip (this is just to hold the paper in place). 3. There are lots of ways to "baste" your fabric to the paper, you can glue baste, or use hidden stitches, but today I'm going to show you my preferred way, which is to sew through the paper. - Thread it through the eye of your needle, and when the 2 ends of your thread meet, make a knot. 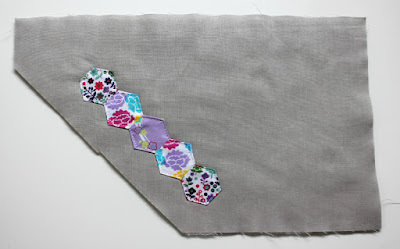 Next, fold the fabric (on the opposite side of the hexagon to the clip) over the paper. Then take your needle and push it through the folded fabric and the paper, so that your needle ends up on the fabric side of the hexagon (and the knot on the paper side). 4. Now, moving around your paper hexagon to the left, fold the fabric down over the paper. Then take your needle and push it back to the paper side of the hexagon, you will need to do this close to the fold in the fabric you have just made, but not through it. Then on the folded fabric, push the needle back to the fabric side of the hexagon - this will hold the fold in the fabric down and attach the fabric to the paper. 5. Continue with this process, working your way to the left each time, until all 6 sides of the fabric hexagon are folded over the paper. Once you get back to the start you can tie a knot in your thread, make sure you do this on the paper side of the hexagon. Repeat this process until you have 5 hexagons. 6. 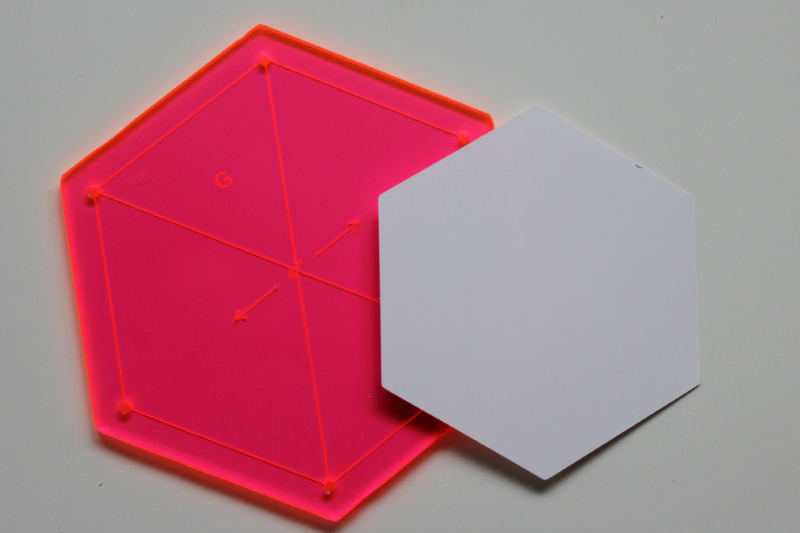 Next, you will need to place 2 hexagons right sides together, and use a wonder clip to hold them in place. 7. It is now time to start sewing the 2 hexagons together along ONE edge. 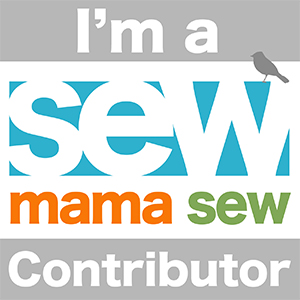 I use a whip stitch when sewing my hexagons together. Remember your stitches need to be small so they are less noticeable once the hexagons are sewn together. TIP: I like to double stitch at the start and end of the edge too - just for added strength. 8. 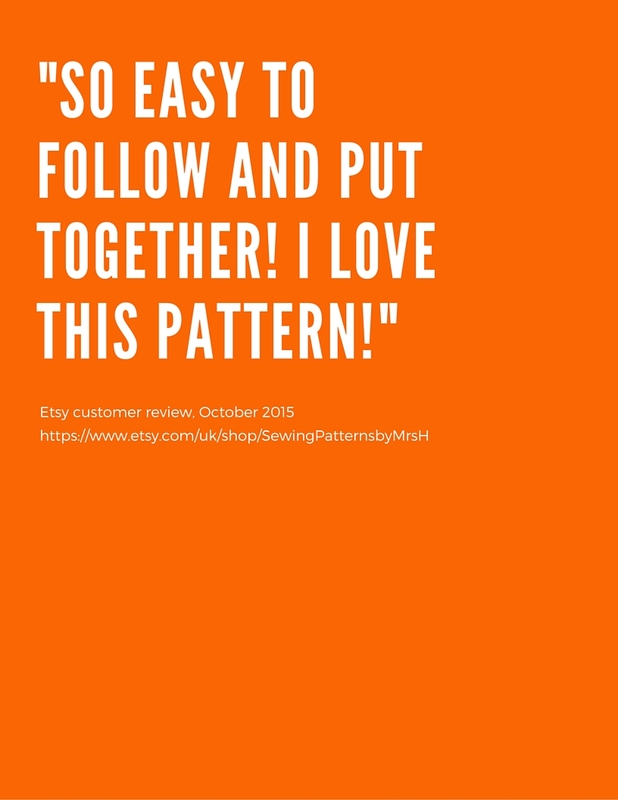 Continue sewing all the hexagons together until all 5 form a line. Give the hexagons another press. Then start to carefully remove the basting stitches and the papers from the fabric. 9. Once all the basting stitches and papers have been removed, place your line of hexagons along the edge of the External Flap (B). Position the hexagons 1" (2.5cm) in from the angled edge and 1" (2.5cm) in from the bottom edge. 10. 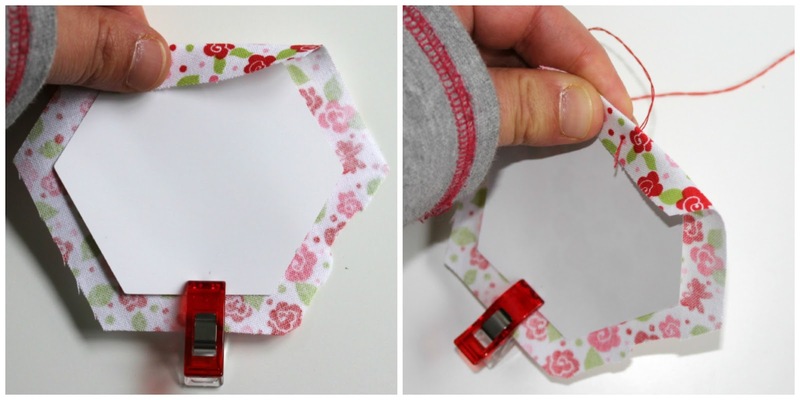 Use your Sewline fabric glue pen to secure the hexagons in place. Then use your sewing machine to attach the hexagons to the Flap. 11. Give your flap, a press...and you are done!